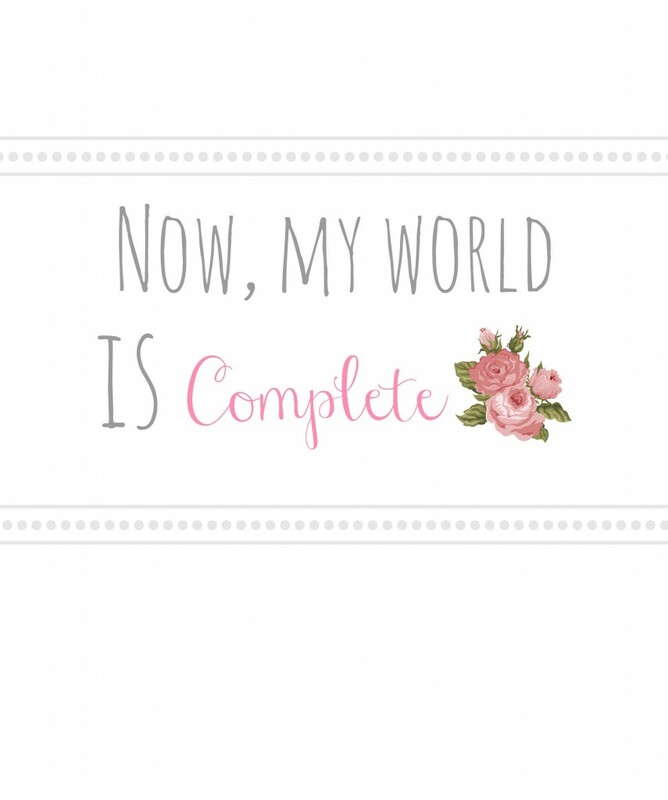 I love printables with sweet words. And when it comes to sweet words and quotes, there have been a few that I have been really wanting to incorporate into my little gals nursery. And so naturally I did what any crafty gal would do, I made a few printables. I have to admit, my nursery progress is on hold right now because we are renovating our entire upstairs and kitchen. In reality I may not have a nursery for some time, and most likely not before the little gal arrives. But I have come to terms with that and I am on to doing small projects that I CAN do right now. Printables are little, but at least I can say I am kind of sort of accomplishing something right?! I am not sure if these are the final version, but I thought I would share them with you and see what you think! You are more than welcome to use these printables if you like them! All you need to do is right-click the image and save to your computer. Then you can print away! They may even make cute cards if you printed them on smaller paper… hummm, I should really start making… can you believe that I bought 4 cards from Hallmark the other day and it costed over $20.00 ?! The crafty gal in me is thinking that is printables for cards sound great! BUT I do love Hallmark–have I ever admitted on here that I worked at a Hallmark in high school? I loved it! Any other ex-Hallmark employees out there? !